Sharon St.Clair, is a certified Psychic Medium and Clairvoyant that helps people connect and resolve issues with loved ones on the other side. She receives messages from Spirit confirming information that she feels, hears, or sees. Sometimes its like playing charades with Spirit and interpreting the symbols your loved ones are showing me. 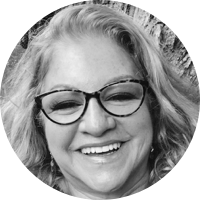 Readings: Only after being granted permission Sharon uses her Clairvoyance, and "Tunes in" to her clients energy through their voice vibration. In distance, either with a name or holding a photo/object using Psychometry is useful for phone readings but not necessary. "Everyone can increase their awareness and sensitivity to Spirit through breath and meditation -(listening to God), or by prayer-(speaking to God)"
Private sessions offer practical, grounded, usable guidance that heal by opening a pathway to attain the change and success clients desire. "I know who I am in truth, I know what I am in truth, I know how I serve in truth"
My session was quite special, and contained so much wisdom, love and healing. Questions were answered, and guidance received. An unexpected jewel was my Mom showing me a method to use where I can “visit” with her when needing one-on-one connection with her. A true gift, which I have already engaged in — and with warm, loving and accurate results.